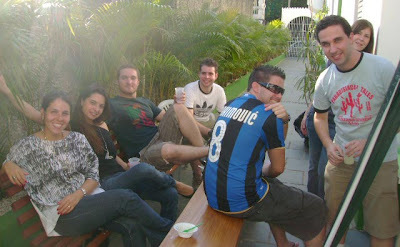 Okupe is a brand new hostel in Sao Paulo (opened July 2009) and it means a great value for money for backpackers. The owners are backpackers that decided to settle down and open this brand new Hostel aiming to offer other travelers inside Sao Paulo, the same memorable experiences they once had abroad. Located 5 minutes away (walking) from Vila Mariana Metro Station (Blue Line) and also around 10 minutes from Ana Rosa Metro Station (Green Line), the Hostel is surrounded by shops and bars. But one of the main benefits of its location is the Ibirapuera Park and Avenida Paulista (it's possible to reach both walking). The reception is 24 hours opened. Among the services, Okupe offers for free: computers, Wi-Fi, breakfast, linen, towels, TV and Nintendo Wii. The staff is really well rated at Hostelworld website and they are prepared to provide tips and suggestions of exciting events, pubs, restaurants and night spots in São Paulo. The Hostel offers a good structure for travelers, such as: 6 clean, safe, and spacious dorm rooms with free lockers - divided into en suite dorm., male, female and mixed room. A large and well equipped guest kitchen where is served the breakfast. 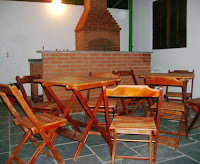 There is a BBQ area and TV lounge with WII, Wi-Fi Zone covering the hostel area and a spacious beautiful backyard. Computers are available for the guests. For those aiming to stay longer than few days, Okupe offers rooms for renting with prices ranging from R$ 350 to R$ 1.400 per month (depends on the location). They currently offer special deals for the travelers. It's certanly one of the best value for money places in town. Check it out! How much: R$ 50 for person for the private room (for 2), R$ 39 for a 6 people shared room and R$ 25 to R$ 35 for a 8 people shared room.